Help advance LVC programs and research, expand scholarship support, and make global, high-impact experiences more widely available with a gift to The Valley. gifts that provide scholarships for students, enhance academic programs and facilities and sustain the financial future of LVC. 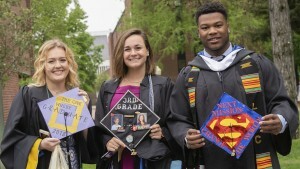 Through these and many other opportunities, we invite you to participate in LVC's longstanding tradition of educational excellence in the liberal arts tradition. We welcome news that highlights alumni accomplishments and awards, as well as, current faculty, student, staff scholarship and awards to showcase on our Go Valley blog. Go Valley is a celebration of the great things that the Lebanon Valley College academic and alumni communities are doing locally and globally. Check it out!